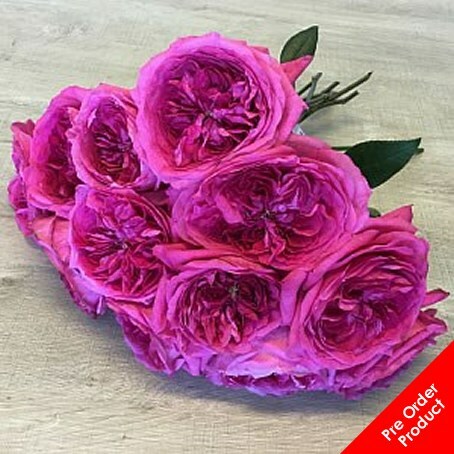 Kate - a magenta pink double cupped garden rose with a beautiful fragrance - typically David Austin ! (approx. 115 petals). Fragrance: Sweet & Spicy.